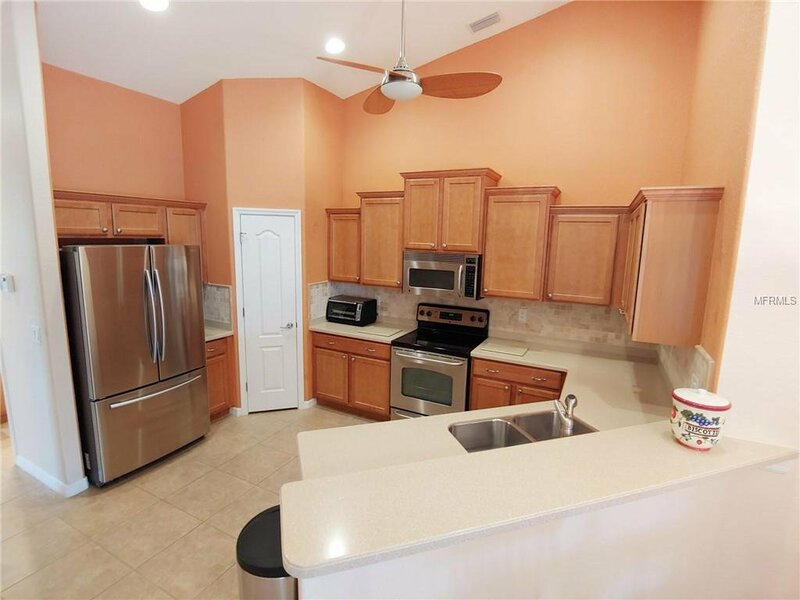 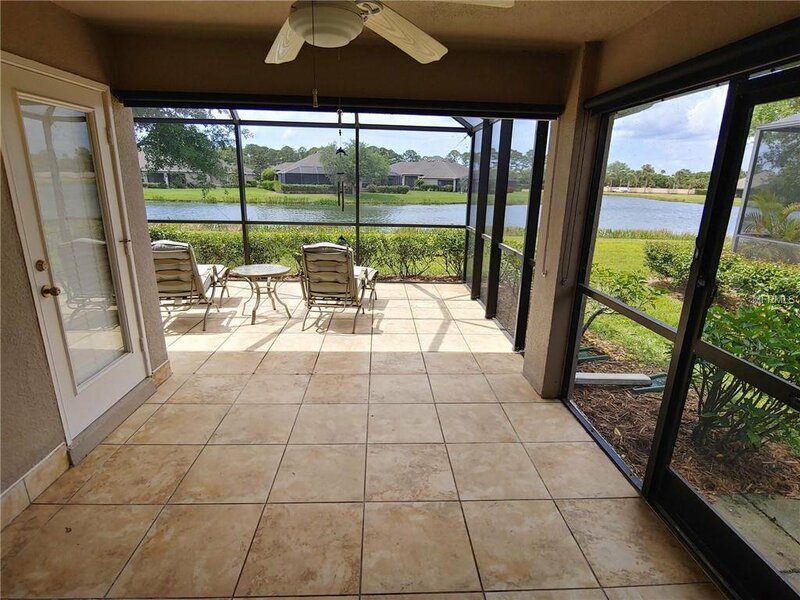 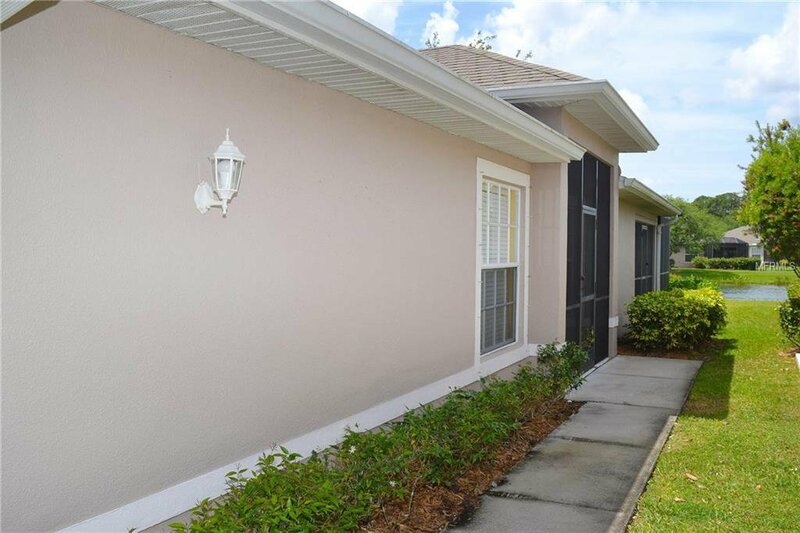 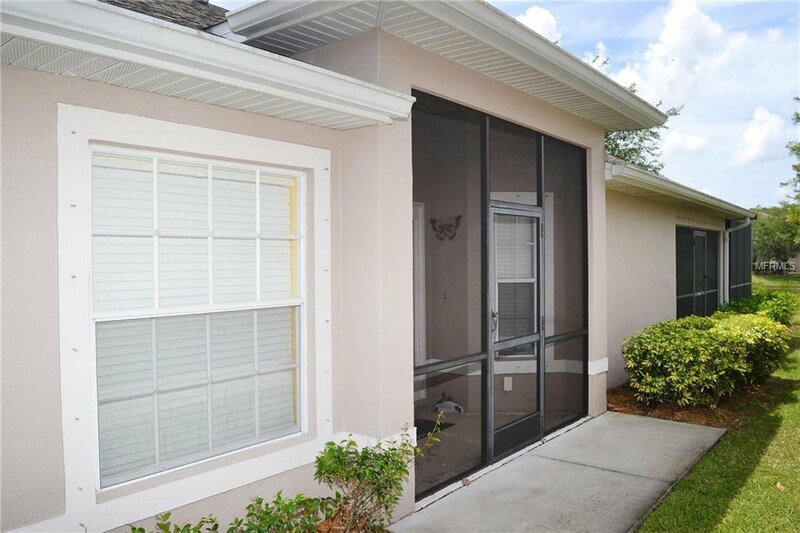 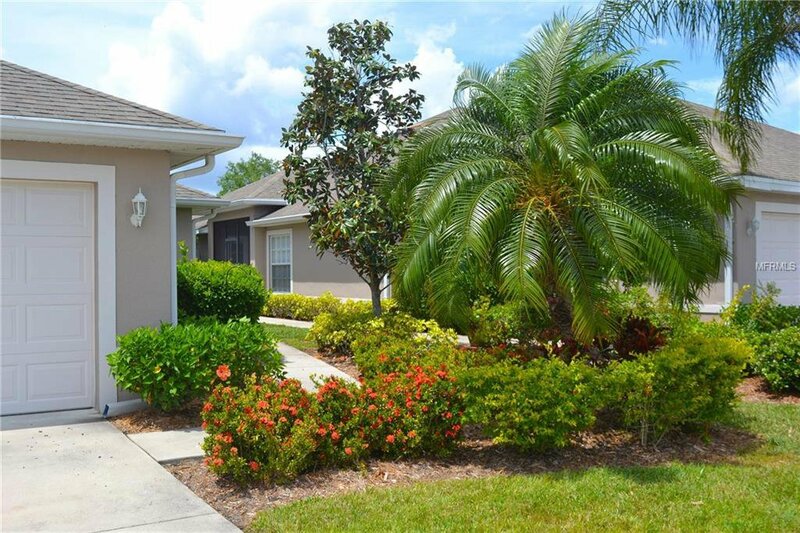 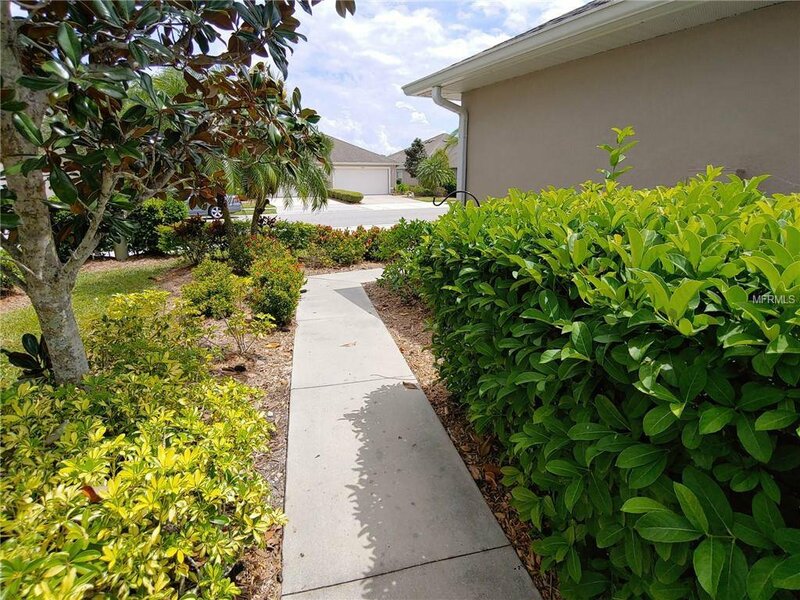 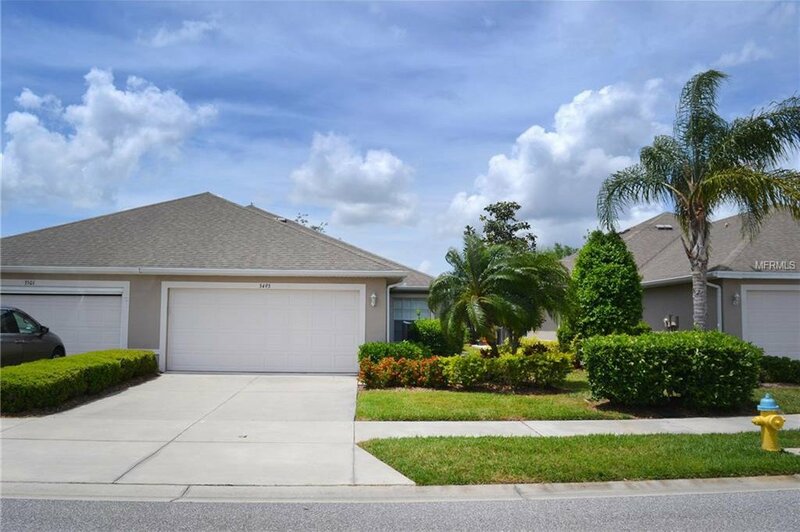 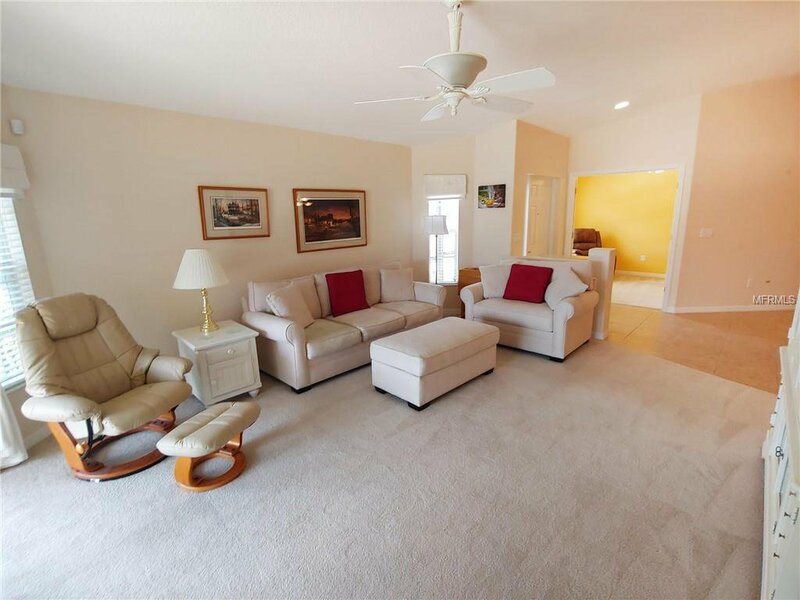 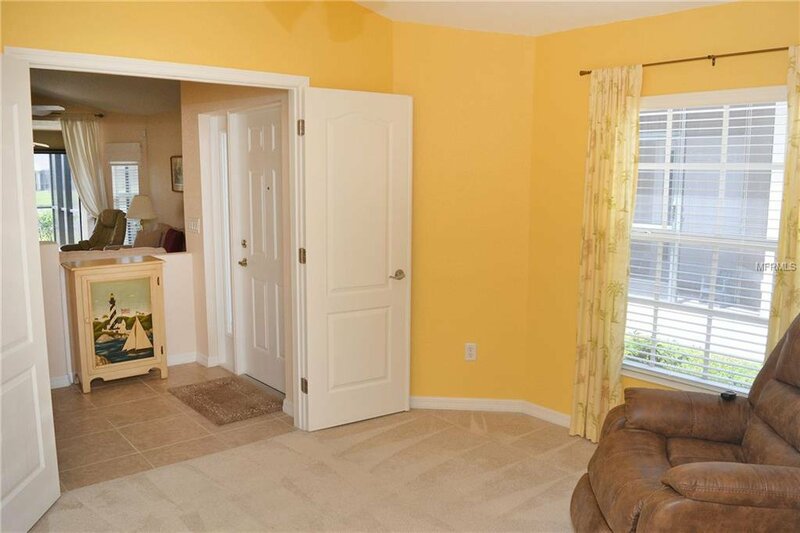 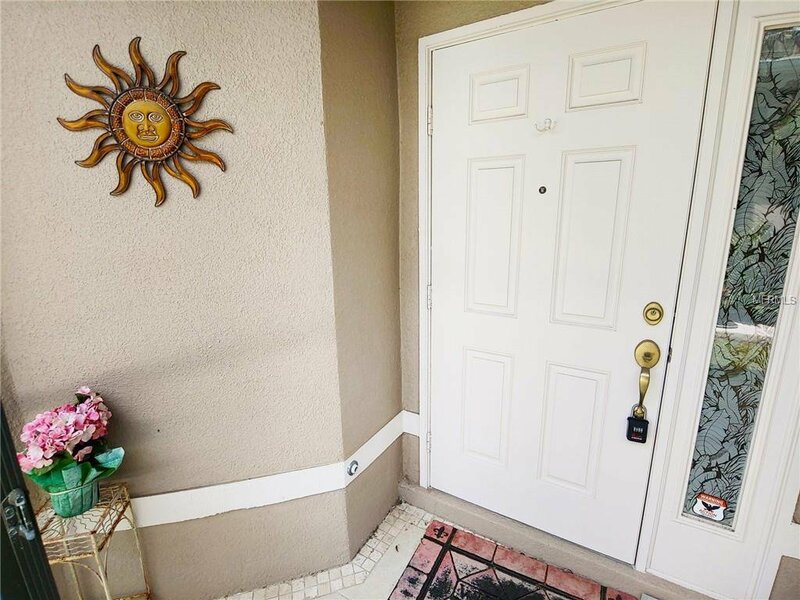 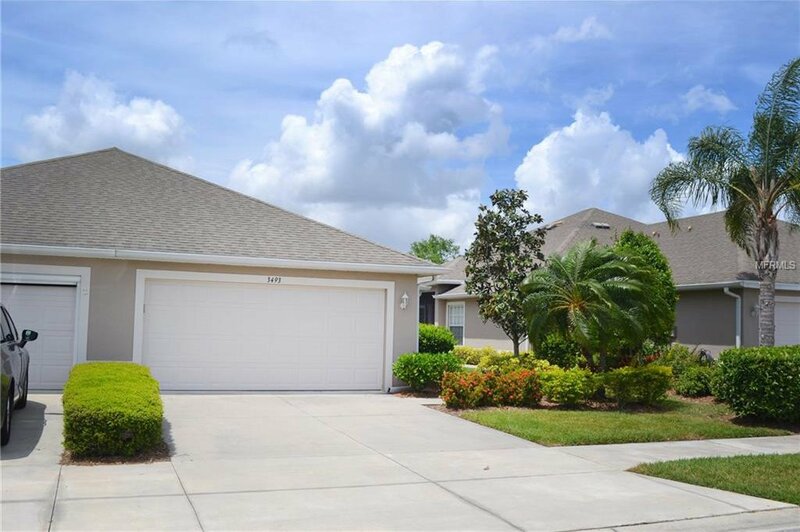 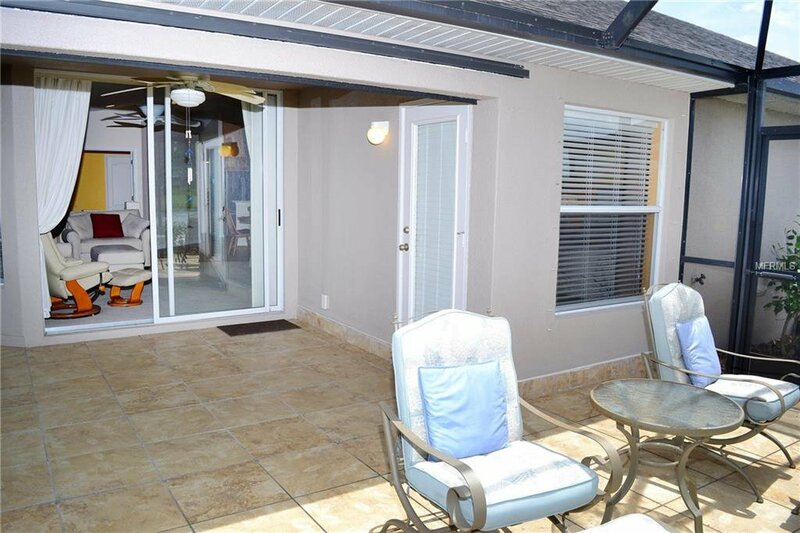 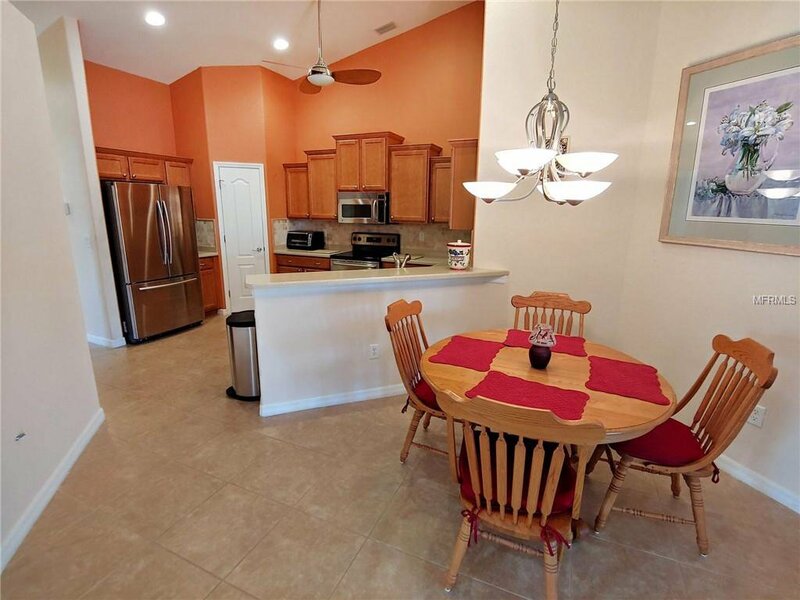 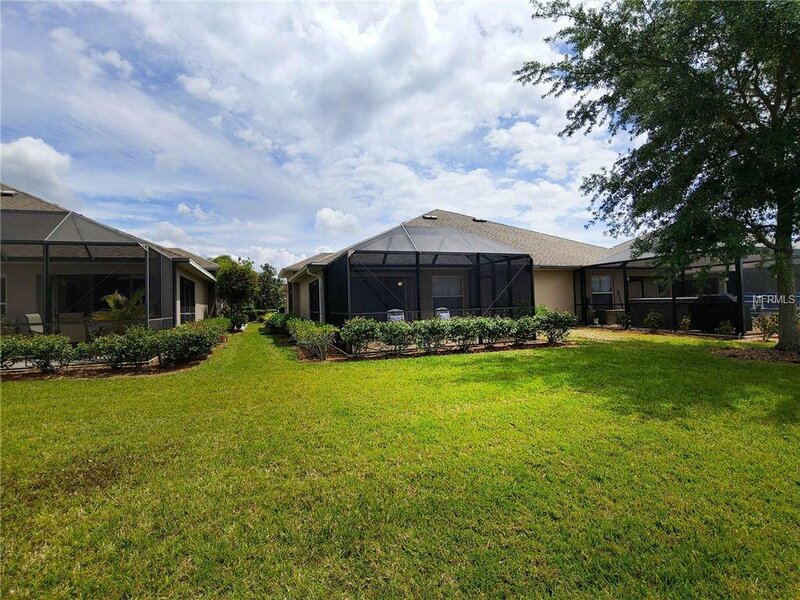 Move-in ready 3 bedroom, 2 bath villa with den/office/third bedroom bonus room with an attached 2 car garage in the gated community of The Villas of Sabal Trace (Ph2). 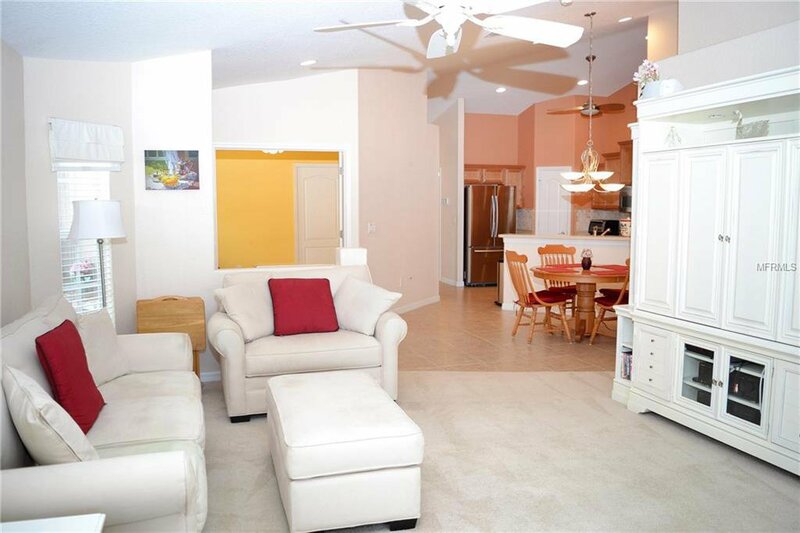 The villa has a screened entrance area that offers security and light into the main living area. 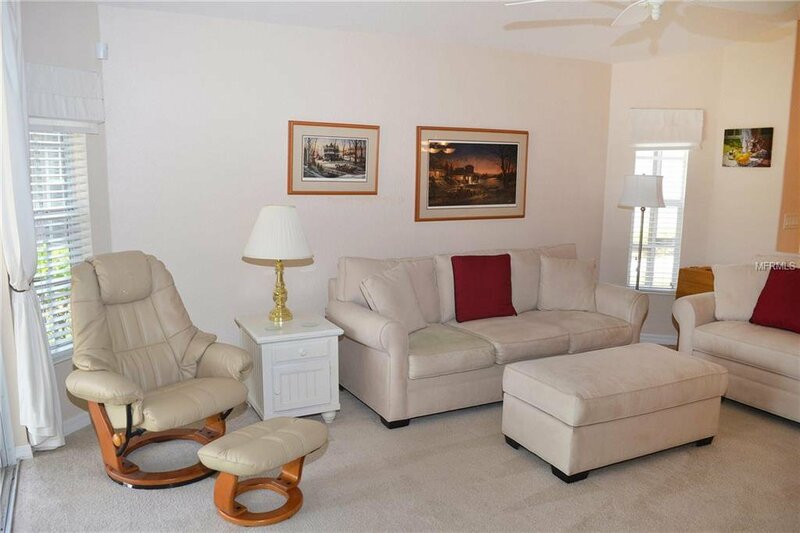 The combined living room, kitchen and dinette have soaring cathedral ceilings with decorative plant shelves and neutral large tile & carpet throughout. 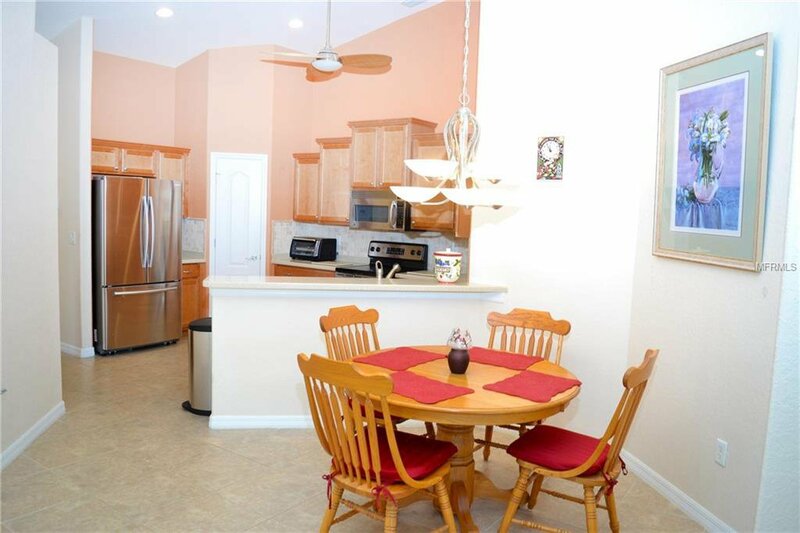 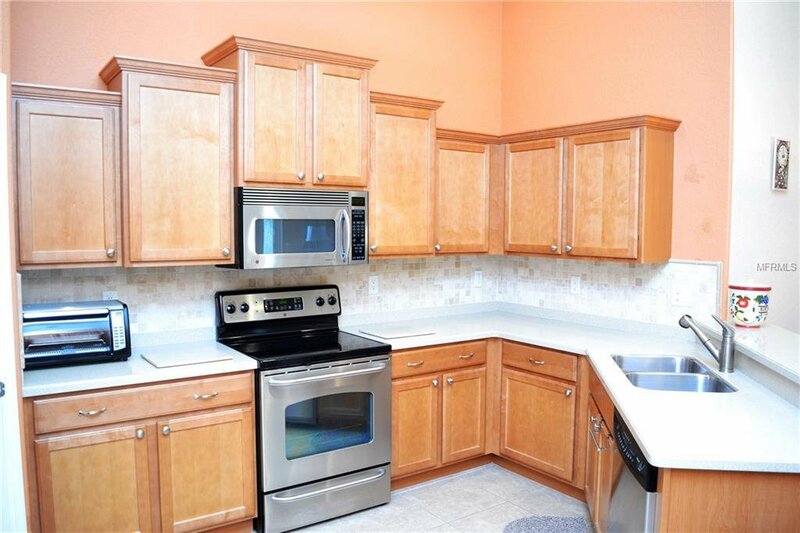 The kitchen has spacious cabinets and counter tops, breakfast bar, closet pantry, & built-in desk. 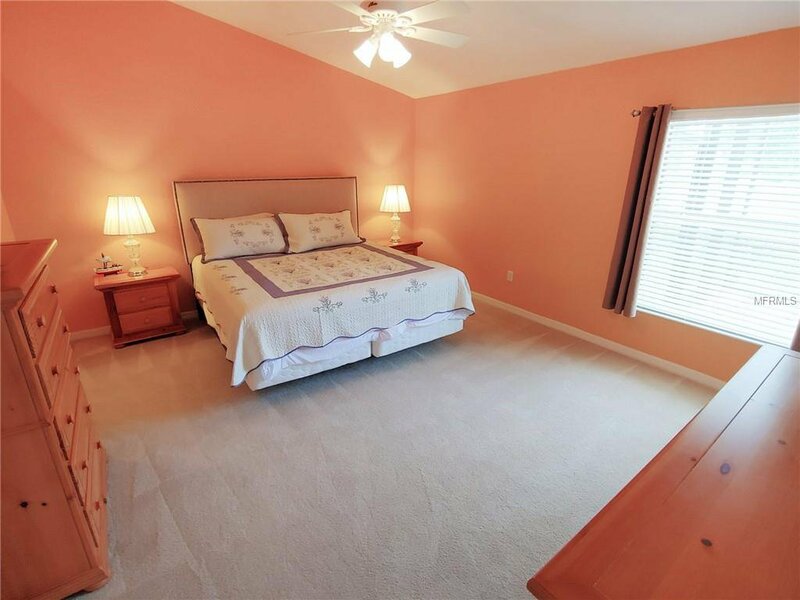 The 3rd bedroom at the front offers many options: keep it closed off with the doors and closet and use as a guest bedroom or open up the doors to the rest of the home and use it as an office, game room, or den. 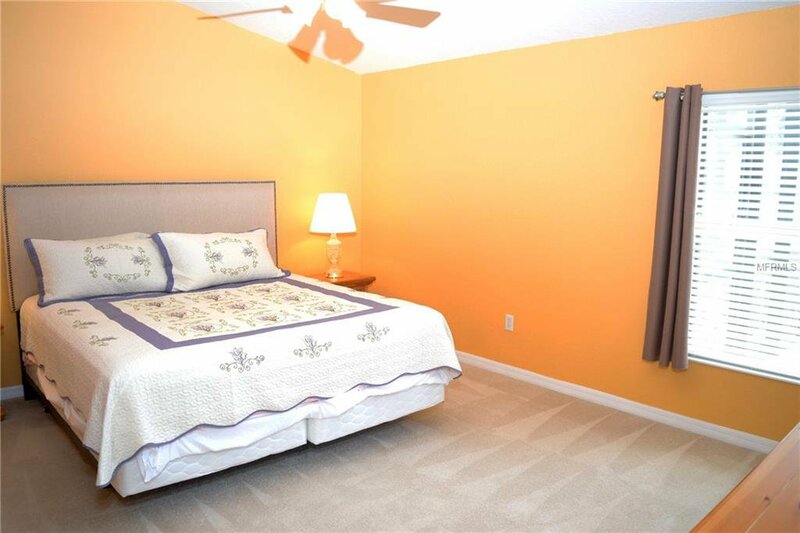 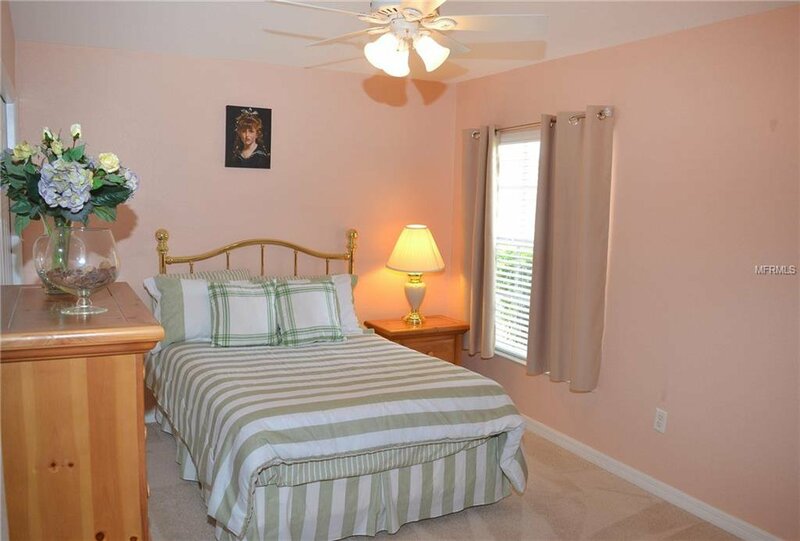 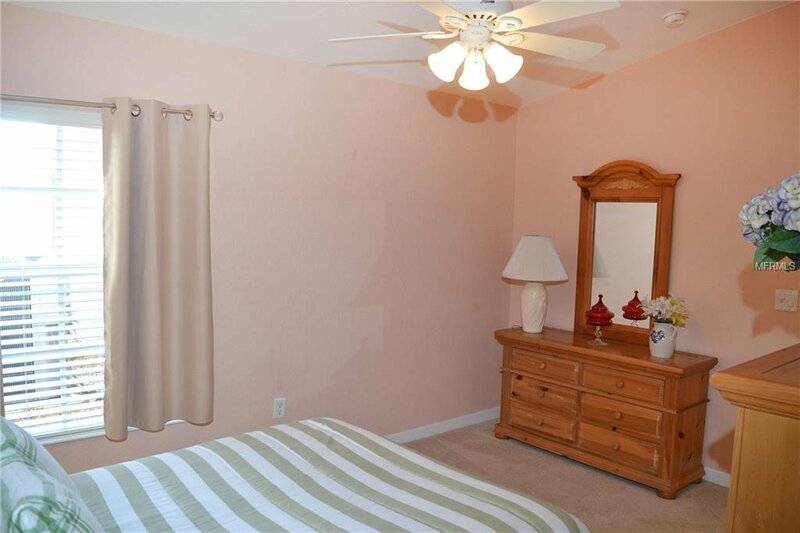 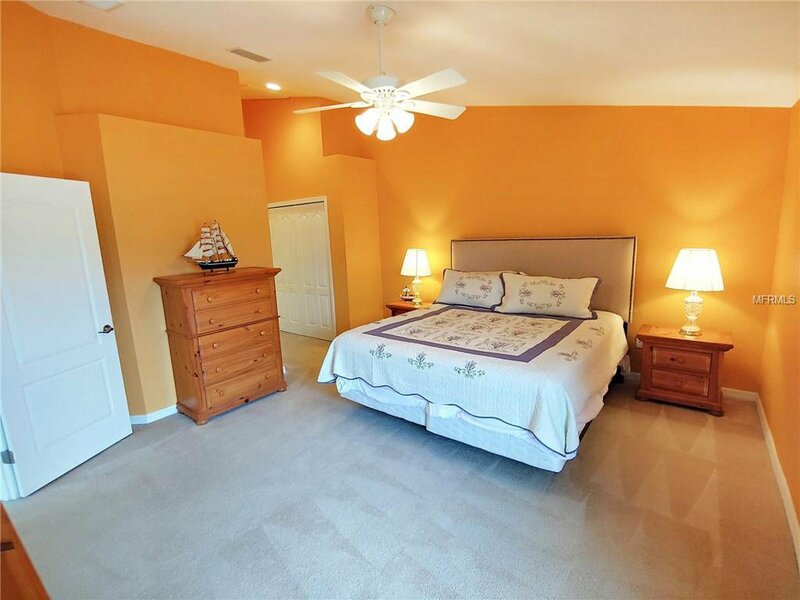 The large master suite has a single and walk-in closet and master bath. 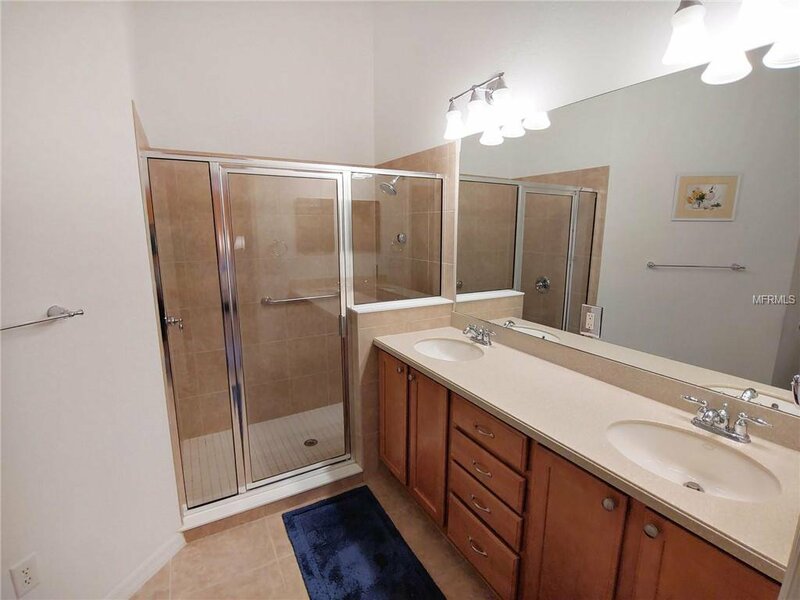 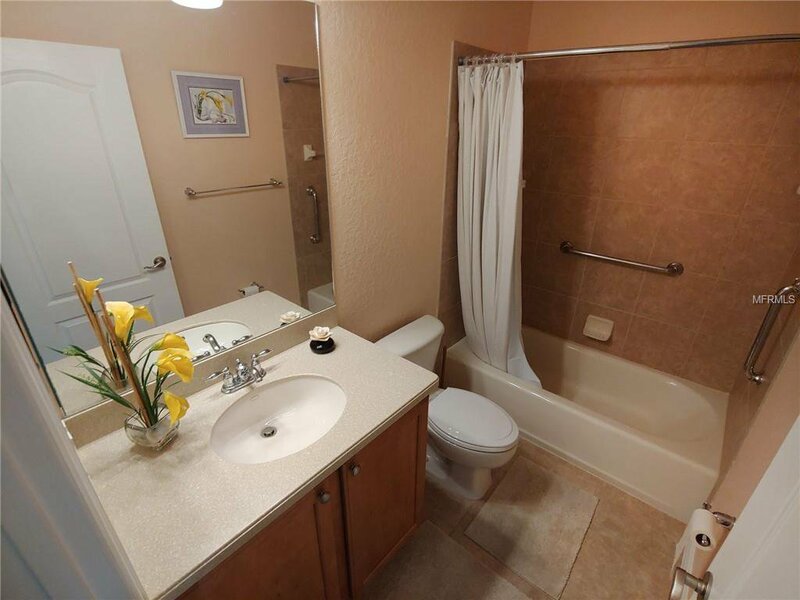 The master bath has a dual sink vanity and walk-in shower. 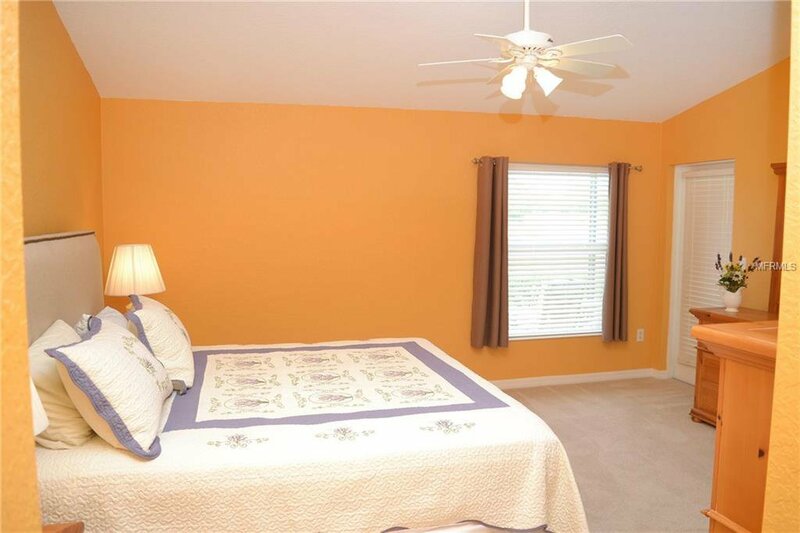 The split floor plan offers privacy for the second bedroom and bath. 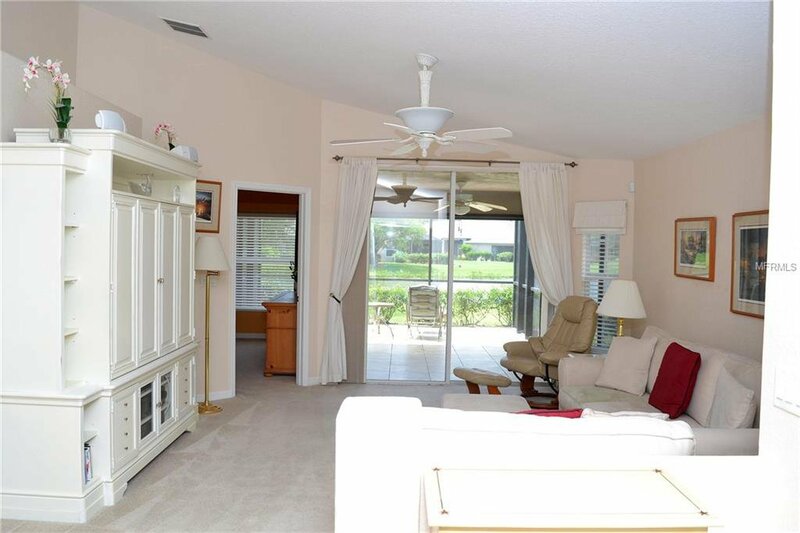 The living room and master bedroom opens out to the covered and screened lanai; the covered lanai opens out to the fully extended screened lanai with beautiful view, overlooking the lake. 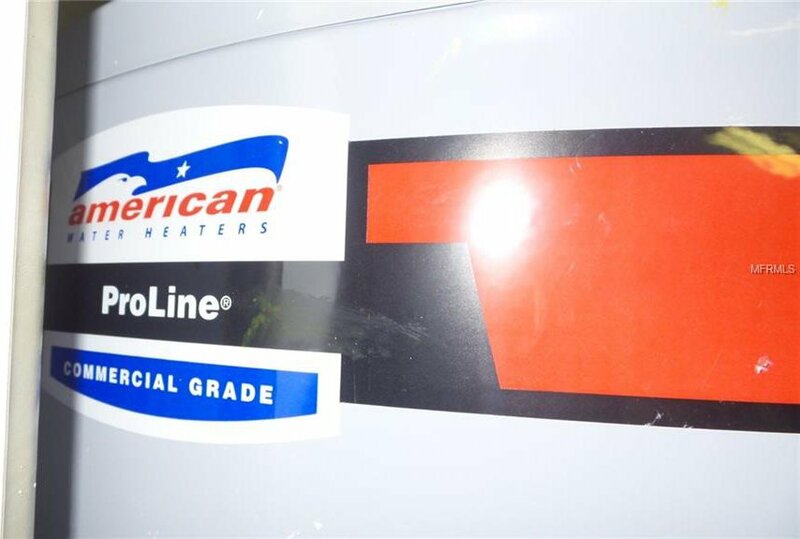 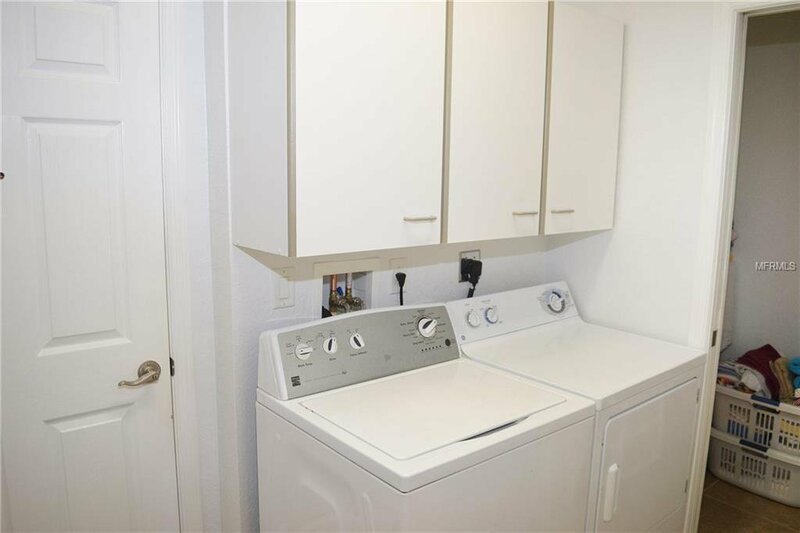 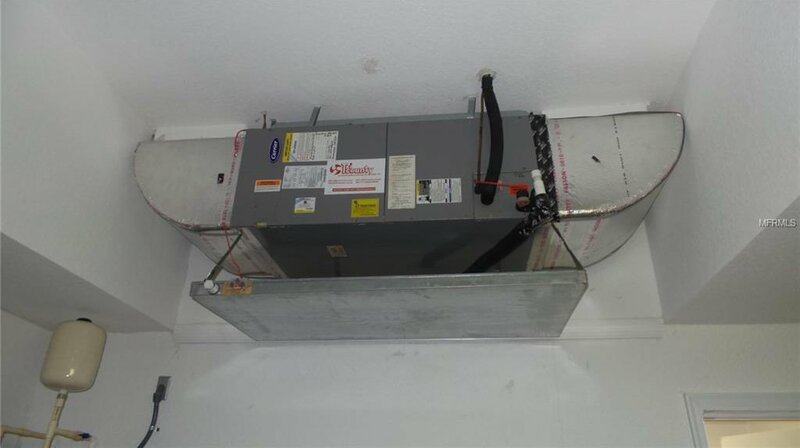 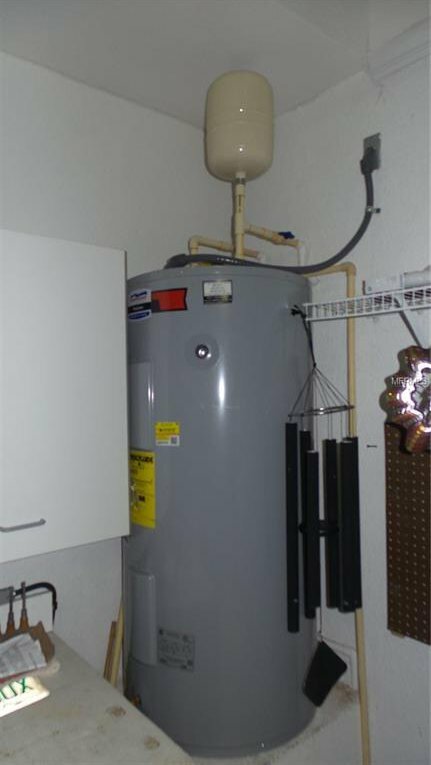 Newer water heater & serviced a.c. 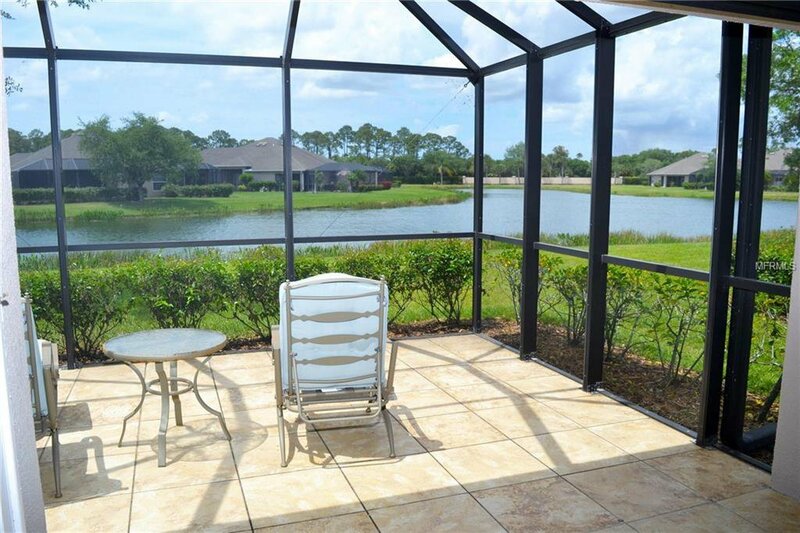 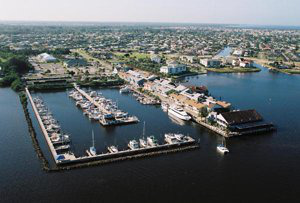 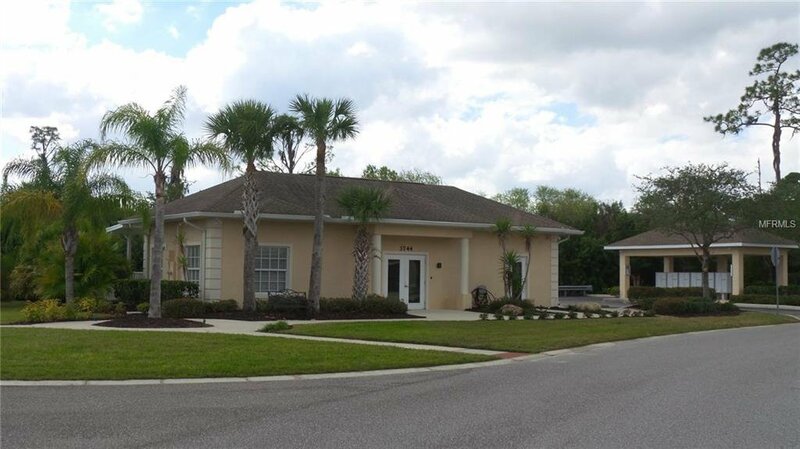 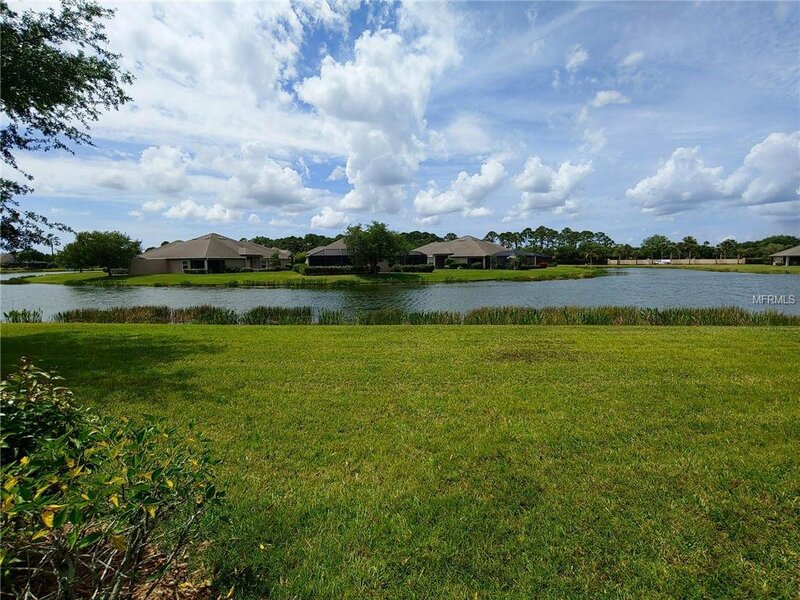 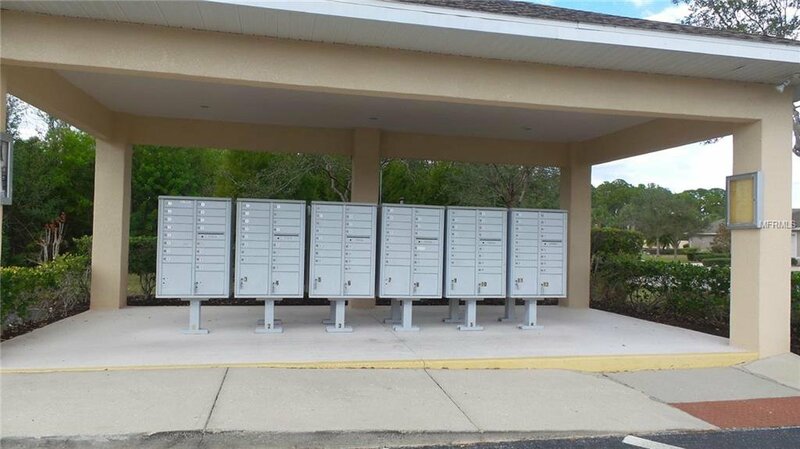 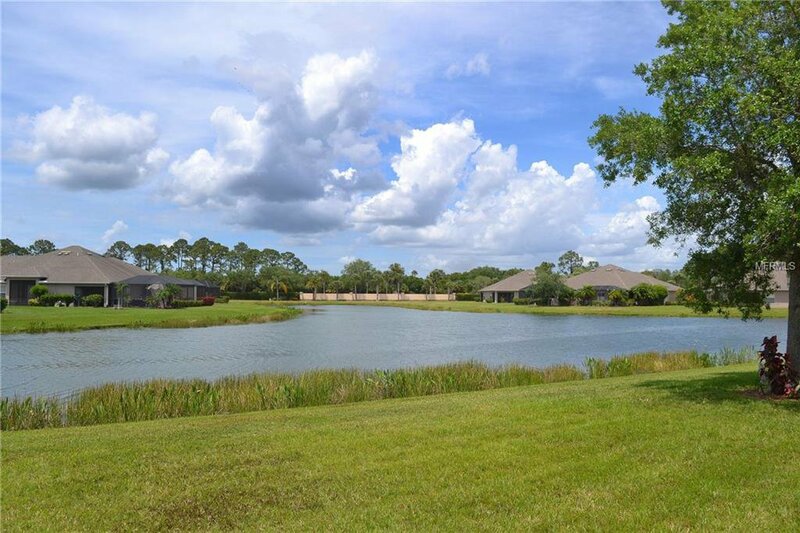 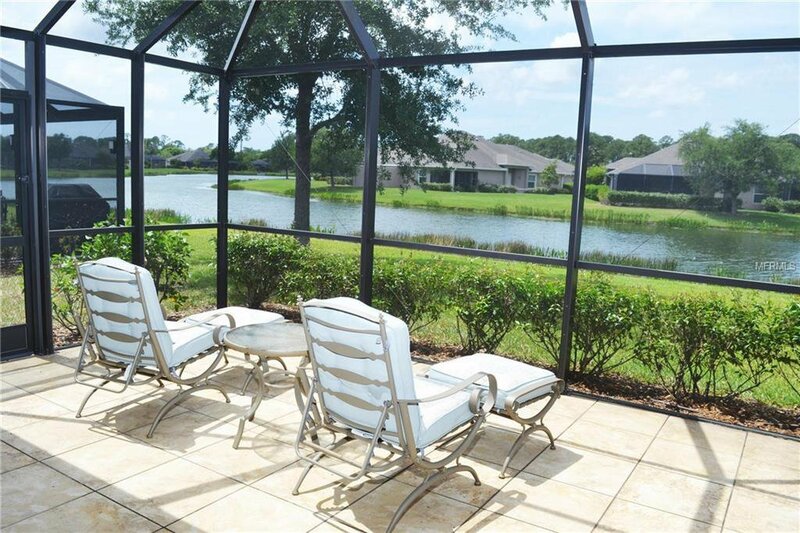 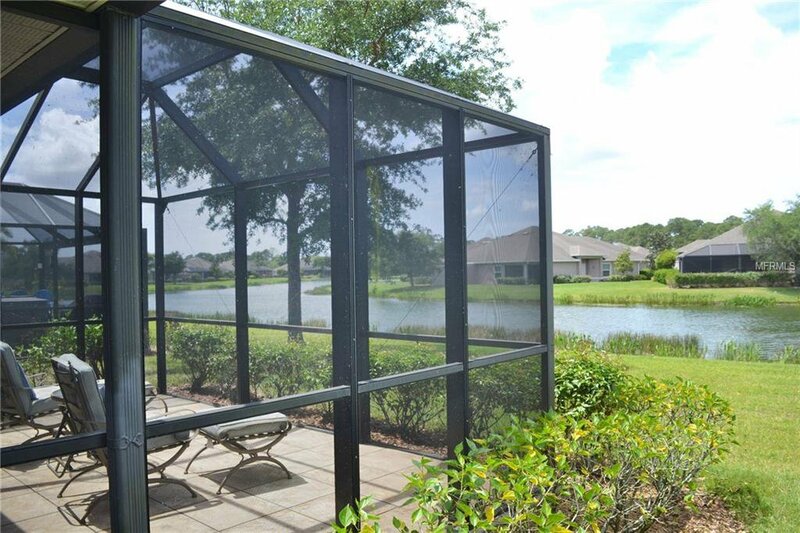 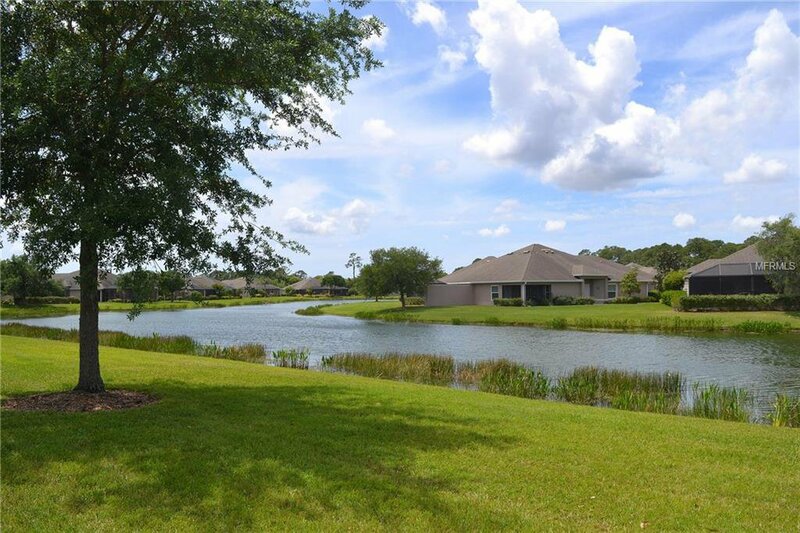 This home and community are the perfect place to relax, entertain & enjoy the FL weather. 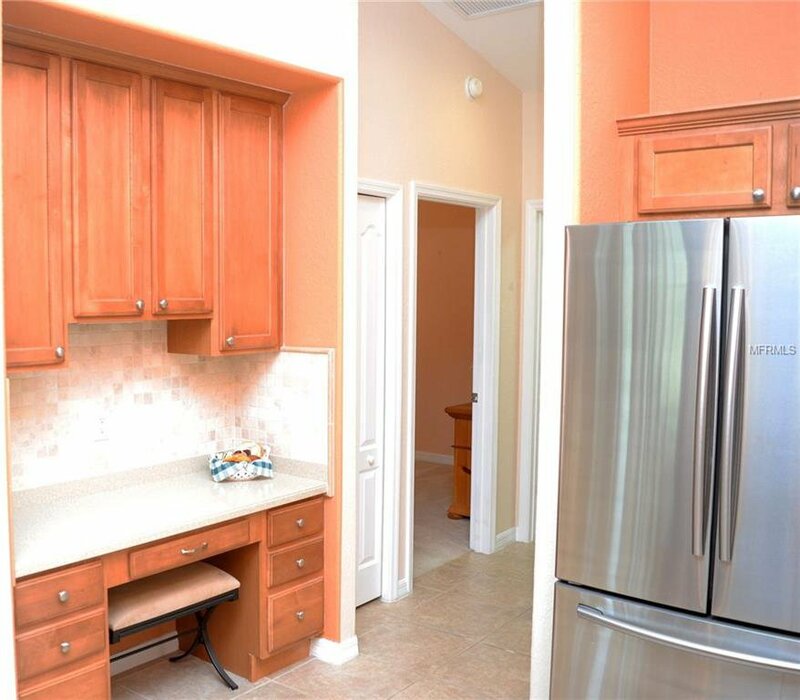 The gated community has a clubhouse with fitness room, game tables, kitchen, meeting areas, heated pool and ample sundecks. 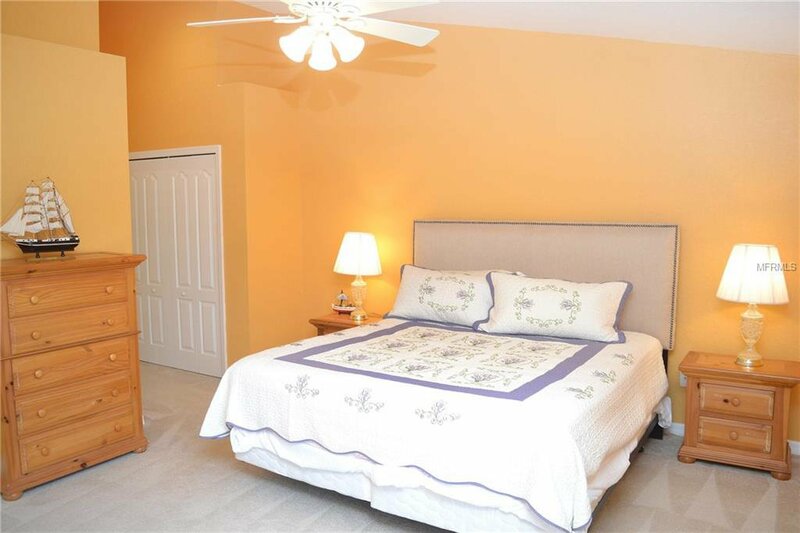 Home only a short drive to shopping, restaurants, golf courses, fishing, local beaches and area attractions. 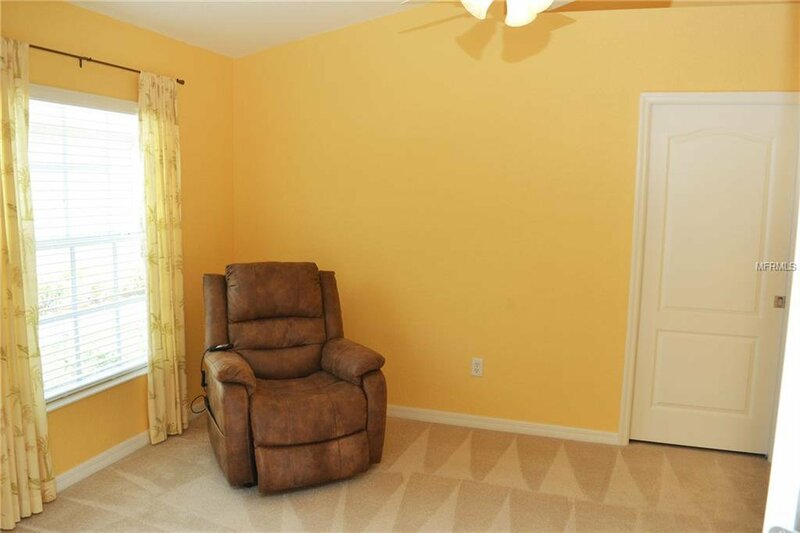 Some furniture available on separate contract. 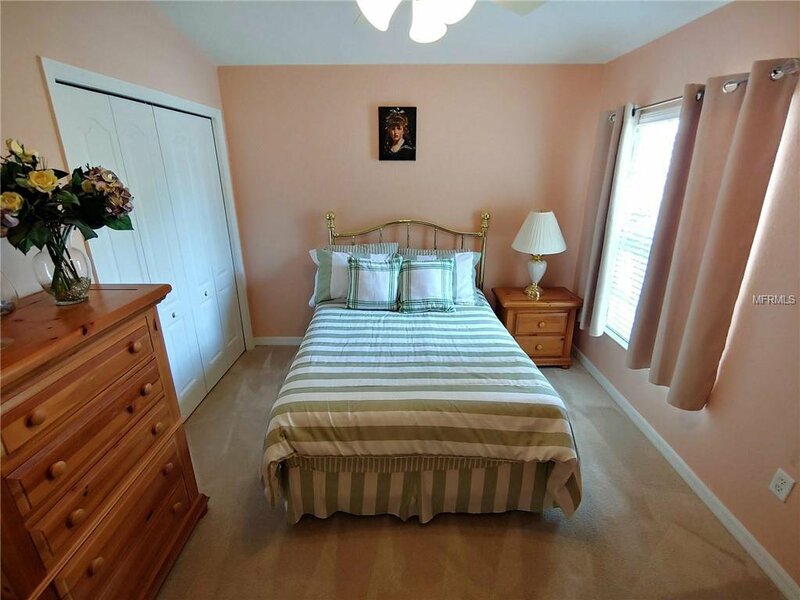 Listing courtesy of MEDWAY REALTY.